Nov 06 Comments Off on Your Child’s Age One Dentist Visit: What You Need to Know? A lot of parents around the world do not feel seriously concerned about the maintenance of early baby teeth which begins to alter at the age of one. One of the most common activities to occur in this age is the falling of baby’s teeth about which parents usually say, “It is ok for the teeth to fall in one year.” Beware! 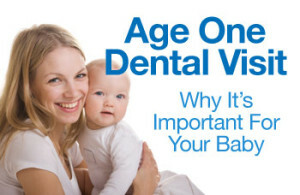 You are taking your baby dental health to lightly because the age one dental visits prove a lifelong protection of your child’s dental/oral health. The condition of the primary teeth before they fall contributes mostly to the later condition of their successors known as the permanent teeth. So, ensuring dental health requires paying dental visits when your child is one-year-old because a professional dentist in Los Angeles, such as Dr. Shervin Louie, could detect and implement precautionary measures to avoid the young teeth suffering from any harmful element. Narrated in this article are few reasons why you should take your one-year-old child to a dentist often. Prevention or taking precautionary measures at the tender age of one for the child’s dental and oral health is preeminent. By applying prevention measures, you can eliminate a dental problem before it attacks on the health of your child. Plus, it has also been revealed now that ill dental health contributes to other health issues in your body. The only person who can help protecting your child’s dental sanctity at the age of one is a reliable and well-known dentist in Los Angeles, which remind us to remark about the brilliant Dr. Shervin Louie. The main reason to maintain the early primary teeth at the age of one Before your child’s first birthday, a professional dentist runs the certain type of assessments and indicate major prevention steps to the parents in order to procure children’s dental health at best. Another great benefit of paying a visit early to the dentist is that they will educate the parents on how to maintain the upkeep of the whole families oral/dental well-being. So, there is everything to gain from this visit and nothing to lose at all. One of the earliest known dental issues that many young infants experience is tooth decay. Tooth decay, if not detected and prevented in time, can cause serious dental and oral repercussions. In little children’s and babies, this condition is specifically termed as Baby Bottle Tooth Decay (BBTD). BBTD happens to most of those children’s who keeps a bottle of milk, or other sweet liquid, in their mouth while sleeping. Avoid this habit in your children because this will aggravate deterioration of their teeth. Recently, many new cases have also emerged in which little children suffer from severe tooth decay, despite avoiding the classic BBTD pattern. Therefore, medical science has come up with a new description known as Early Child Caries (ECC) to discuss and treat tooth decay in children on a broader scale. An ECC affected child can also develop serious issues of cavities, aggravated by the use surgery liquids. 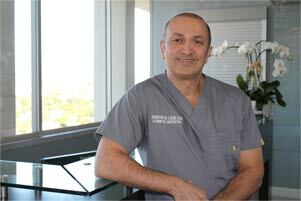 Dr. Shervin Louie, a renowned dentist of Los Angeles, says that it is imperative to use as minimum sugar diet as you can before and after the age of one. Products such as pacifiers, sippy cups, and natural habit of breastfeeding at night. The disease can spread very fast if proper measures are not taken, and a dentist is not consulted. Therefore, if you would like your child to enjoy remarkable oral and dental health at, and from, the age of one and onwards, make sure you keep visiting your dentist and implement safety measures which they guide you to do.